The Cyclone round Toe boot is a high performance surf boot made by Hyperflex Wetsuits. As with all Hyperflex products, this boot is a perfect combination of performance and price. 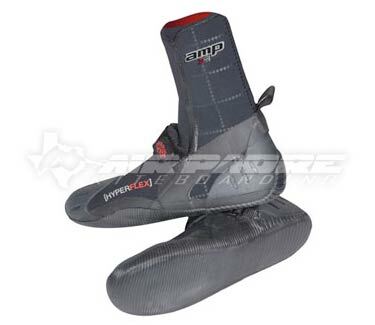 The Hyperflex Cyclone Round Toe boot is a high performance surf boot made by Hyperflex Wetsuits. As with all Hyperflex products, this boot is a perfect combination of performance and price. New Hyperstretch upper and pull on strap makes it easy to put on and take off in all conditions and boot thicknesses. Dual-density construction. 3mm upper and 2mm footbed allows a thicker, warmer boot without sacrificing board sensitivity and control.